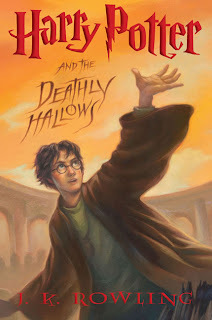 Britain's The Mail is reporting that the film adaptation of the 7th book in the Harry Potter series, Harry Potter and the Deathly Hallows, is to be split up into two films. Author J.K. Rowling had this to say: "It is simply impossible to incorporate every storyline into a film under four hours long." It's a bit unorthodox, but it's clearly the right decision. Perhaps even more so than its predecessors, Deathly Hallows is a rich and wondrous work, a grand emotional epic whose true power lies in the details and finer character moments - something the films have quite frequently failed to capture in their quest to cram in plot points. As the books have gotten progressively the movies have had to trim more and more, sometimes leaving the subtleties behind in favor of plot, and many subplots have been dropped altogether. Making two films out of Book 7 will allow for greater development, and ensure that the final conflict is not rushed. The finale of the 7th book is every bit as sweeping and emotionally gripping as The Lord of the Rings, and should be treated as such. To rush it would be to cheapen it. I just hope they find a great director to bring it to life, like Guillermo Del Toro or bring back Alfonso Cuaron, who helmed the third film. I also hope they release them like The Matrix and Kill Bill, months apart instead of a year. There's no reason to drag it out unnecessarily.